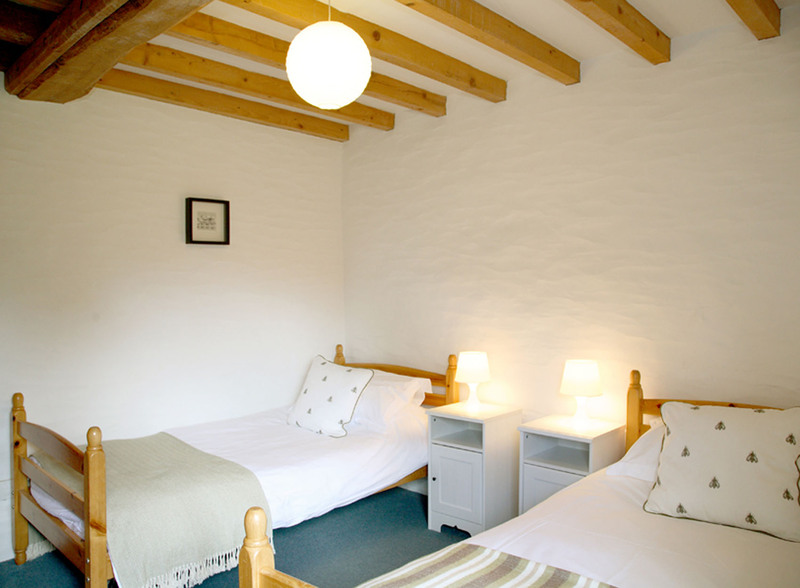 This wooden beamed cottage offers four-star three bedroomed accommodation consisting of a double bedroom, a twin bedroom and a second twin bedroom, a bathroom and a shower room. 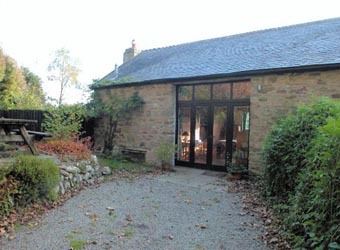 Glazed French doors open into a spacious, open-plan living room and kitchen with wooden floors and fine views across the valley. 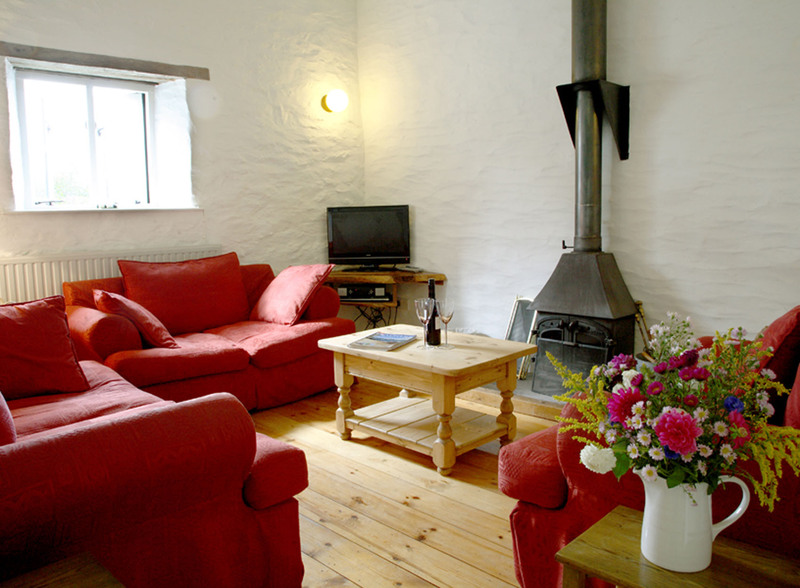 The living area is furnished with 2 large sofas and 1 armchair, wood burning stove, digital colour TV and radio, DVD/CD player and wireless broadband. 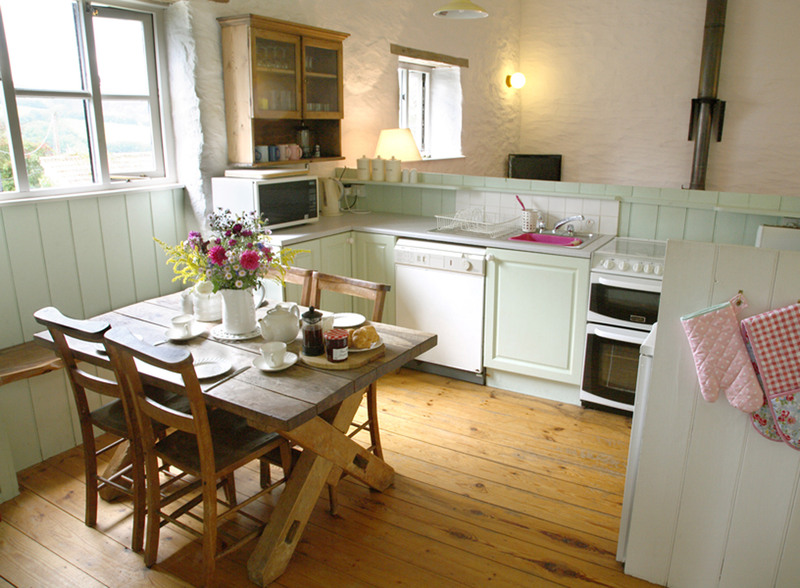 The kitchen is fully fitted with a farmhouse table, gas cooker, microwave oven, fridge, freezer and dishwasher. 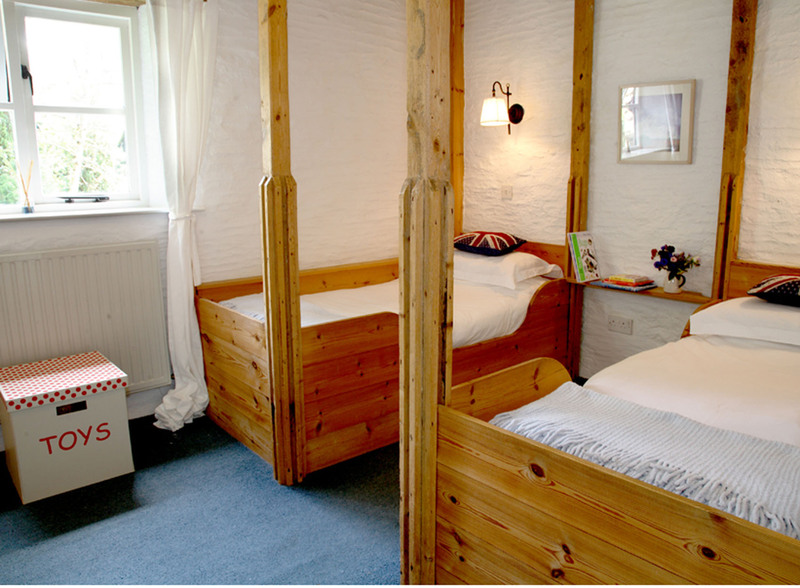 Leading off from the living room is an en-suite twin bedroom with a pair of single four poster beds made from the original grain bins. This has an en-suite shower room with shower, toilet, basin and shaver point, making it possibly suitable for someone with some mobility problems. A carpeted stairway leads down to two further bedrooms and the family bathroom. 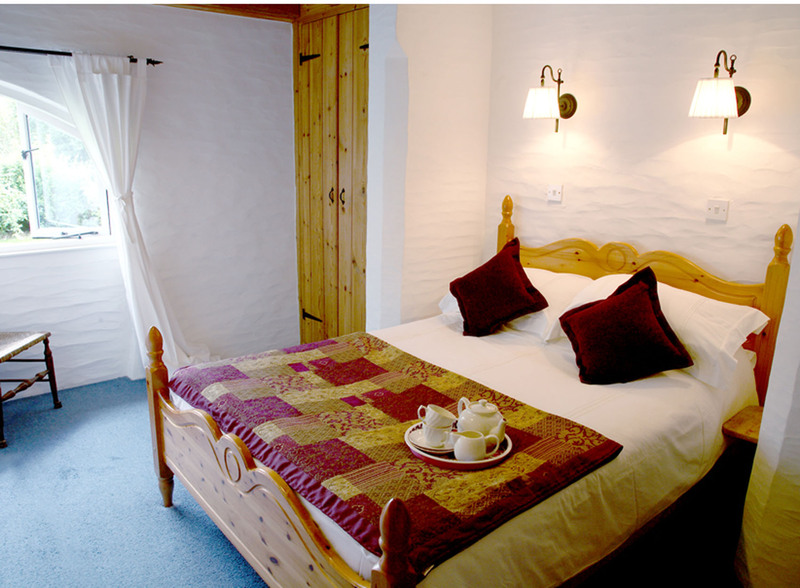 The large double bedroom features the original crossed beamed ceiling. The second twin bedded room also has 100 year old beams. The bathroom has a beautiful vertical oak beam, toilet, bath/shower, wash basin and shaver point. Outside there is a private patio area, with picnic table and barbeque; there is parking for two cars. We accept well behaved dog(s) in this cottage. We provide free Broadband so contact can be maintained with the outside world via laptop. Cellphones reception is possible at the top of the hill.